No businesses like to receive customer complaints but they are often unavoidable. Organisations aren’t perfect and mistakes do happen, especially when you factor in human error. 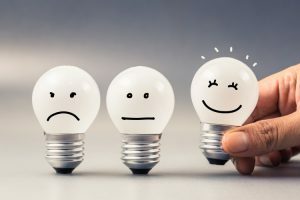 However inconvenient, many companies fail to realise that complaints can offer a unique opportunity to gain valuable feedback and turn a frustrated customer in to a happy and therefore loyal customer. This is particularly important as many business owners know, retaining customers is a lot easier and cheaper than attracting new ones. So how can business owners ensure that they turn their complaints in to compliments? Before even considering the process of dealing with complaints, companies should try to change their entire mindset. Instead of viewing complaints as a chore, see them as a resource. Many businesses go out of their way to gain feedback on their products and overall customer service but ignore the consistent stream of feedback which rolls in from complaints. Furthermore, if a customer is urged to actually make a complaint- usually that means it’s about a fairly pertinent issue and one the company should be aware of. The initial reaction to a complaint is incredibly important and will dictate the ongoing relationship with the consumer and business. It’s vital that each complaint, no matter how large or small is treated with the same level of professionalism and seriousness. Although it’s likely that the grievance has nothing to do with the customer service agent personally, apologising on behalf of the company and thanking the customer for getting in touch can go a long way to rebuilding trust. The next step should be about gathering as much information as possible about the customer and their problem. This will both illustrate a sincere attempt at help and will expedite the process of offering a solution. When dealing with a disgruntled customer, communication is key. The customer want to know what the agent is going to do about the complaint and an approximate timeline. Many companies will fail to keep in contact with a consumer during this process and this is a sure-fire way to lose a them forever. It’s therefore important to explain how the complaint will be dealt and when the customer will find out the end result. Contact, whether it’s via phone or email, should be initiated at all appropriate stages. Of course, how the complaint is handled is going to play a large role in customer satisfaction or dissatisfaction. This all depends on the complaint and company policy. However, it’s obvious that faulty products should be replaced or refunded. If the situation is more complex, for example a problem with a service, it may be pertinent to reimburse or “reward” the customer in the form of vouchers, credit or free products. It’s worth noting that agents can actually ask customers on their preferred solution. Customers often react positively to this technique because it allows them to see the agent as an ally, rather than a faceless company worker. Once a solution is agreed upon, it should be delivered as it was explained to the customer. When attempting to rebuild trust with consumers, honesty is integral and any perceived deception will most likely lead to an irreparable break down in trust. Businesses should be encouraged to deal with complaints correctly, not only because of the benefits but also the potential damage. Social media is everywhere and it doesn’t take much for a simple complaint to grow in to something much larger, whether through consumer review websites or even just social networking. There is also the potential for a complaint to go viral which can often lead to disastrous consequences for the company. All of these scenarios can be avoided with successful customer service. As already mentioned, this approach to retaining customers is incredibly important because keeping existing customers is much cheaper and easier than attracting new ones. A company that settles a complaint and satisfies the customer can actually create stronger, more trusting relationships with their consumers. In fact, a whopping 95% of customers will give companies a second chance if they handle their complaint to their satisfaction. The idea of turning a complaint in to a compliment all depends on the customer and their opinion on the process and therefore the company in question. A complaint which is dealt with quickly and in a satisfactory way will engender trust and that customer is not only much more likely to repeat business but also advertise the company through word of mouth. Considering the current age of social media, good word of mouth is worth its weight in gold. This entry was posted in Observations & Answers, Uncategorized on August 1, 2018 by Roland.